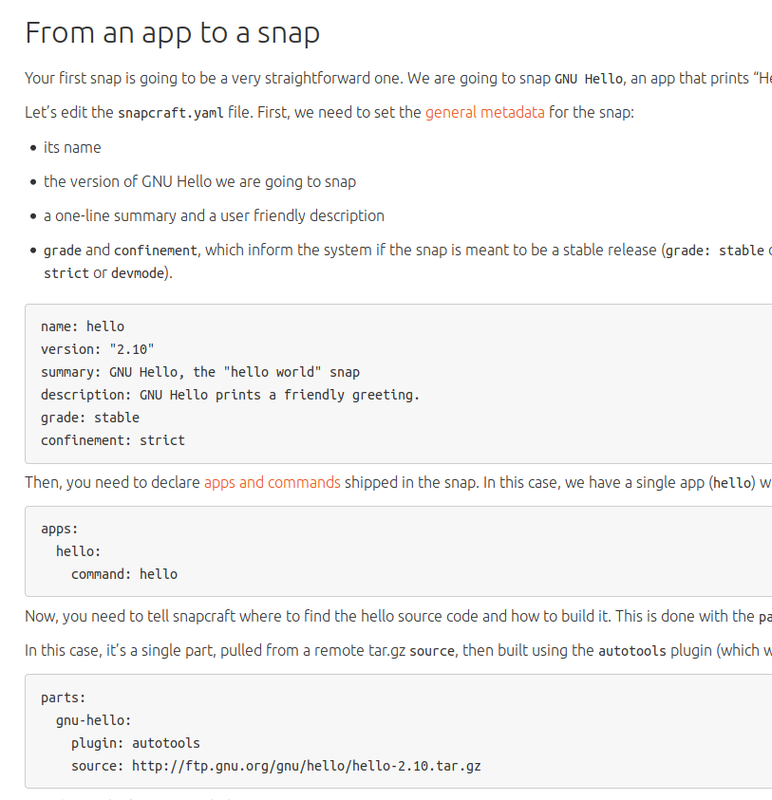 After the installation of ubuntu core and running caddy webserver from a repository i was wondering how to build my own snap package. and this tutorial works fine. create a bash script "myapp.sh"
"grade" property not specified: defaulting to "stable"